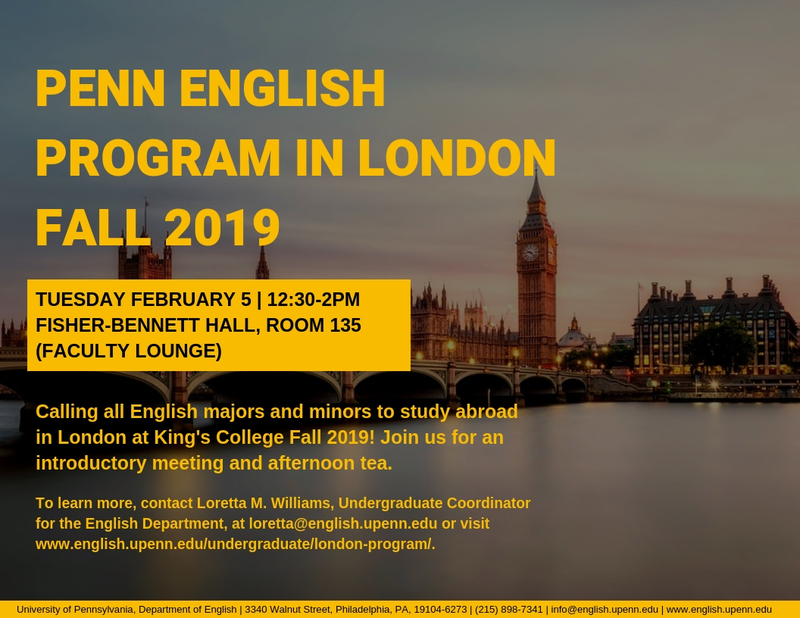 Calling all English majors and minors to study abroad in London at King's College Fall 2019! Join us for an introductory meeting and afternoon tea. To learn more, contact Loretta M. Williams, Undergraduate Coordinator for the English Department, at loretta@english.upenn.edu or visit www.english.upenn.edu/undergraduate/london-program/.